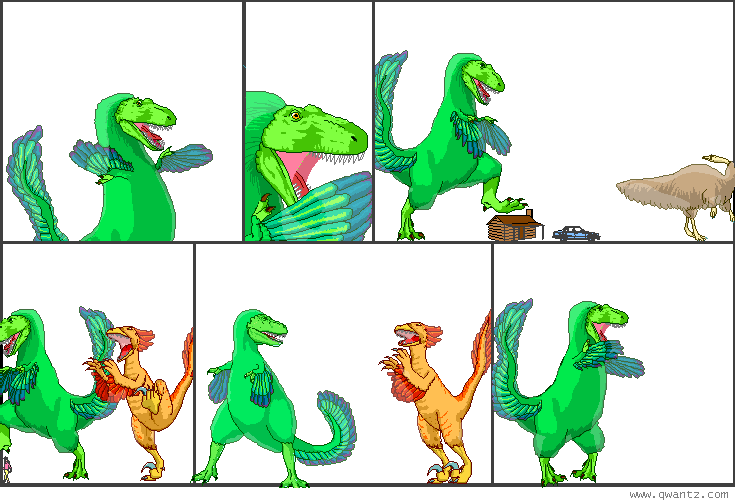 Dinosaur Comics - January 7th, 2011 - awesome fun times! –If you love something, set it free! January 7th, 2011: 80% of Dinosaur Comics in 2011 have been about the odds of becoming a superhero. On Monday I promise not to talk about the odds of becoming a superhero! I PROMISE TO TALK ABOUT SOMETHING ELSE INSTEAD. HORSES. I WILL TALK ABOUT HORSES. One year ago today: to compare, we humans have only done like 1/1250th of a galactic orbit since we first evolved: dinosaurs were around for a LONG WHILE. and yet, they never invented a single internet in all that time! sheesh!